Sport helps Bridget feel happy and healthy. 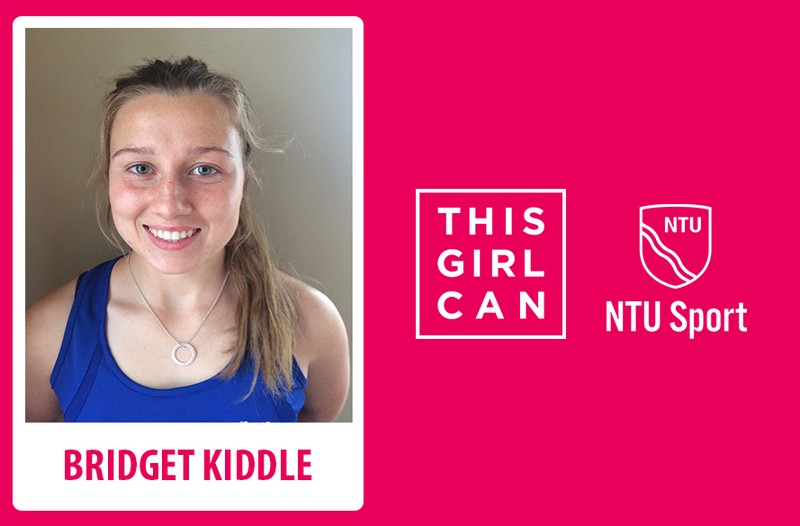 As part of This Girl Can Week, Bridget tells us why she loves playing for NTU Women’s Hockey. How important exercise is to help relieve stress and why women need to be well represented in sport. How often? - I play for The NTU Women’s Hockey team and Beeston Women’s Hockey team, so I am usually training six days a week. What is your best sporting achievement? - Debut for the Blacksticks in 2016 – New Zealand Women’s Hockey Team. How do you feel when you are competing in your chosen sport? Most of the time when I am playing hockey I feel happy, healthy and full of energy. As a performance athlete with lots of training and games, that’s not always the case. Generally when I don’t feel good, it’s because we aren’t winning or playing to the best of our ability. But for the times that we do win or we play a really good game, that good feeling is worth it every time. Do you think it is important for women to be well represented in sport? Absolutely! I think that playing sport is a great way to meet people, make friends and have some fun. It’s very easy to stay within your comfort zone and not participate in the range of sports available. But sport is a great way for women to have a laugh and sometimes even look like an idiot… the great thing is, no one cares! What are the benefits that sport and activity can offer to people? Playing sport and doing exercise is a good way to release stress and generally make you feel good. Being in a supportive environment with like-minded people gives the ‘feel-good-factor’ and can make a really bad day turn into a really good one. Do you have a female role model that you most identify with and why? My sister - Jackie Kiddle. She is a New Zealand Rower and probably the most determined person I have ever met. She always tackles challenges with a positive attitude and has worked incredibly hard to get to where she is now. Follow @NTUSport on Twitter and @NTUSport on Instagram to keep up to date with everything we have going on.